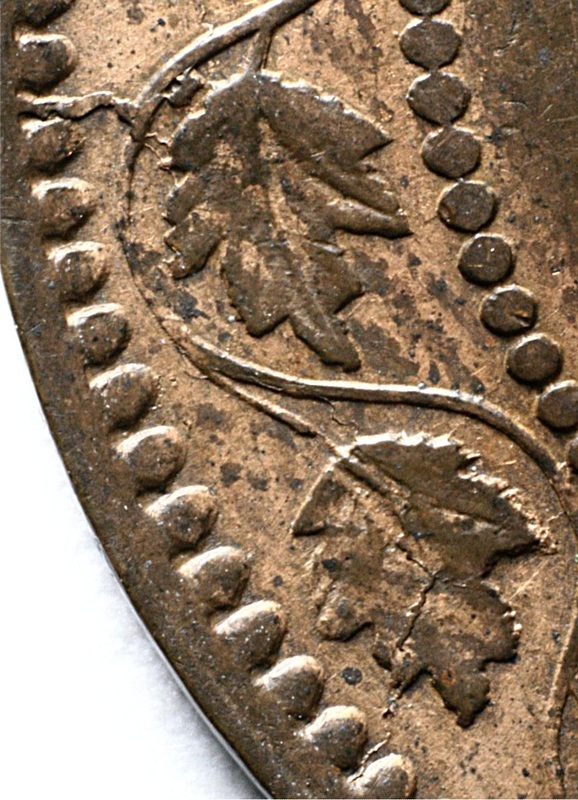 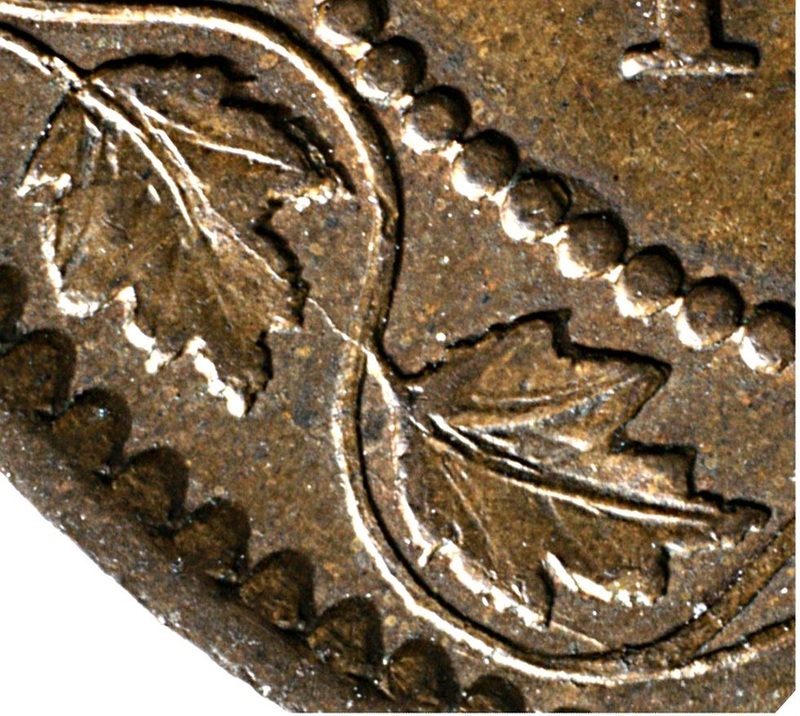 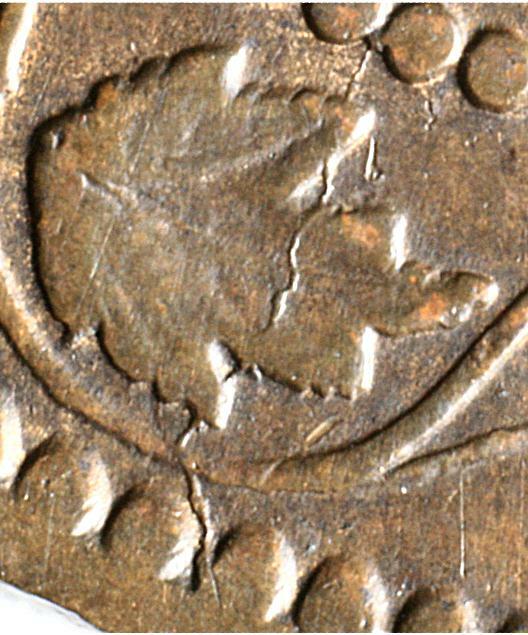 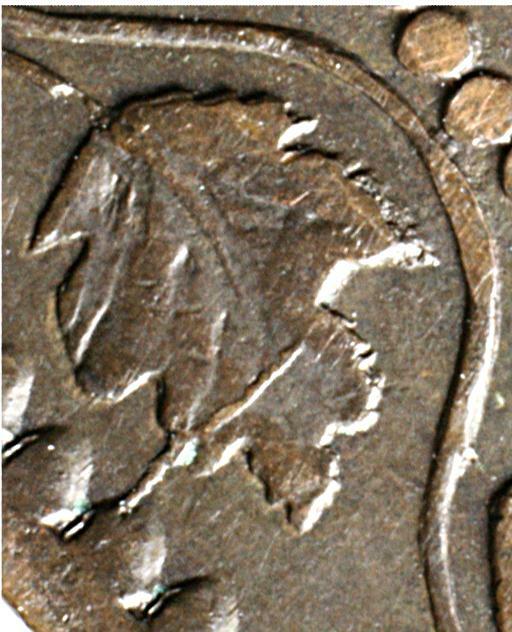 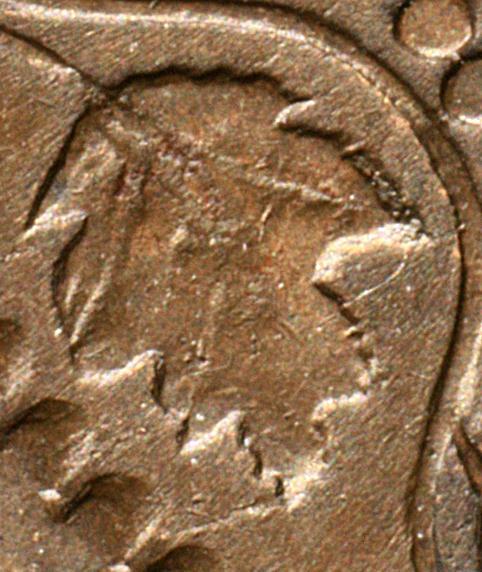 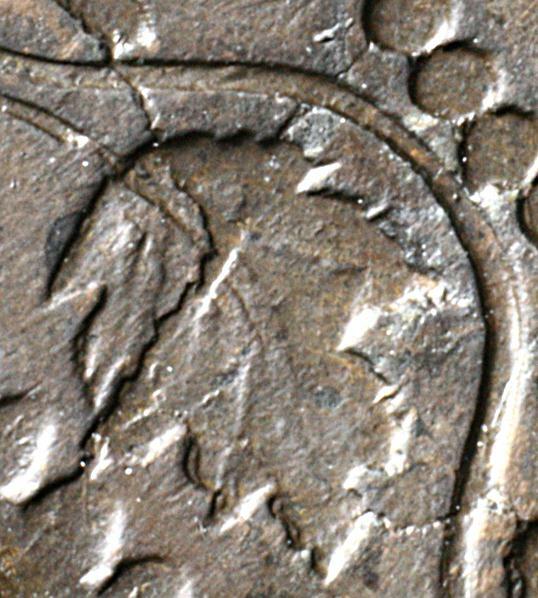 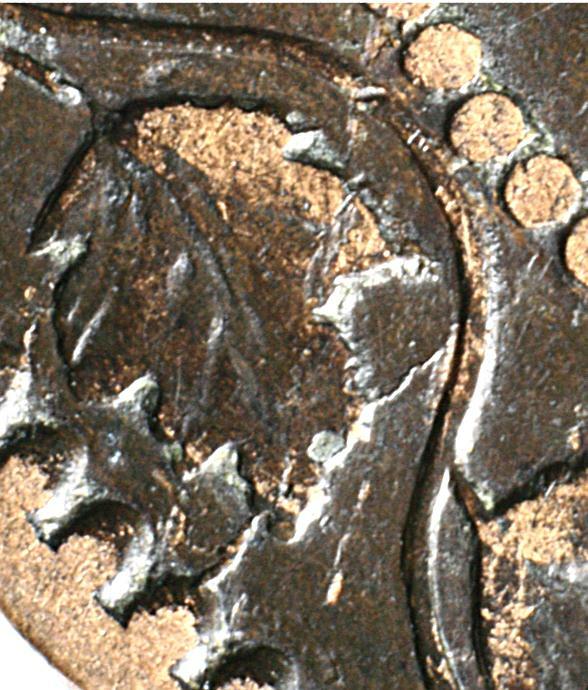 If your coin has a significant radial (coming from the rim) die crack to Leaf 11, compare it to the photos below. 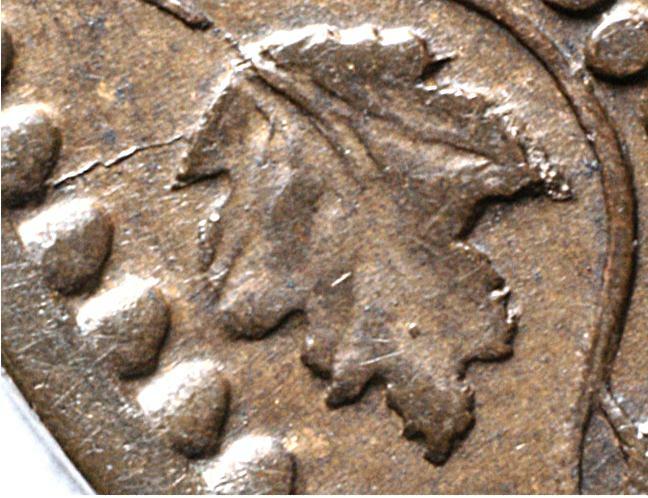 If you find a match, click on the die name link above the photo to go to the home page for that die to check for other markers to confirm your choice. 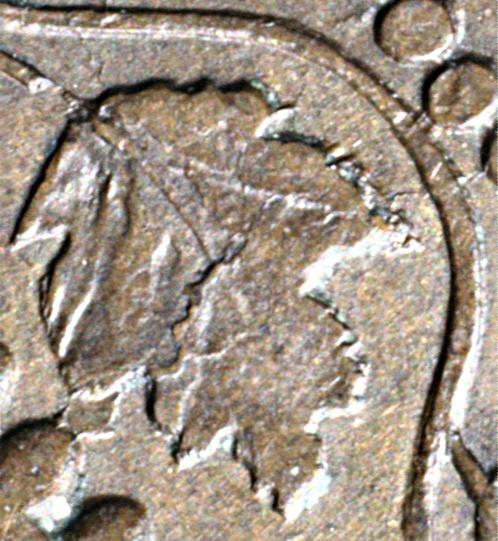 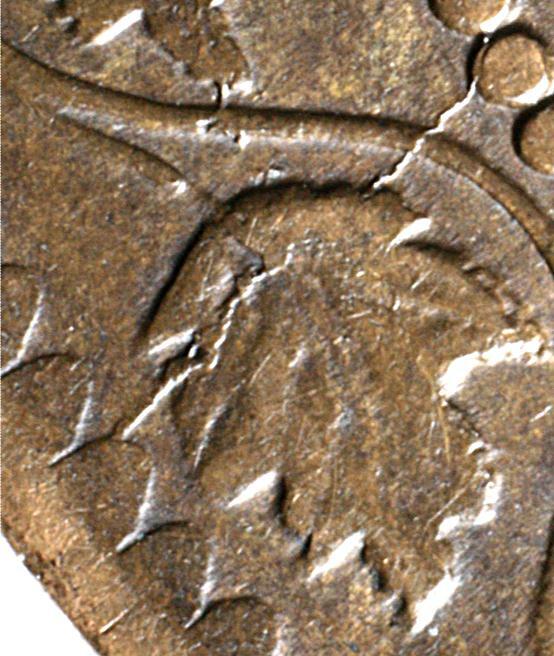 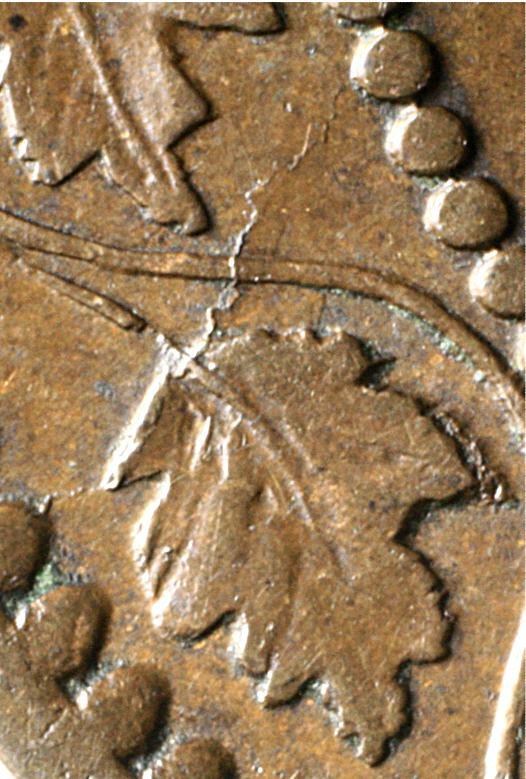 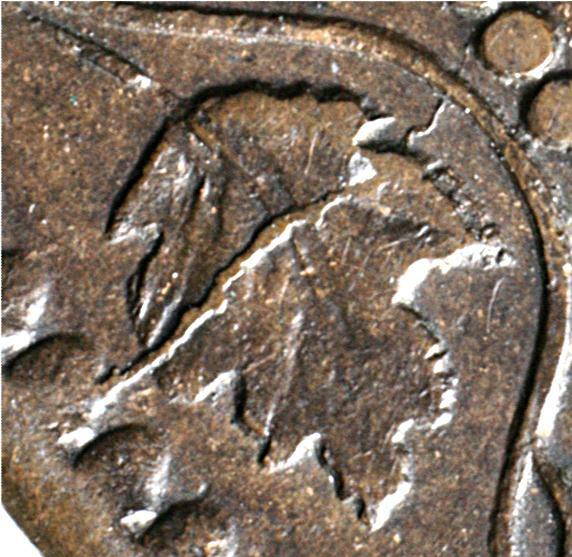 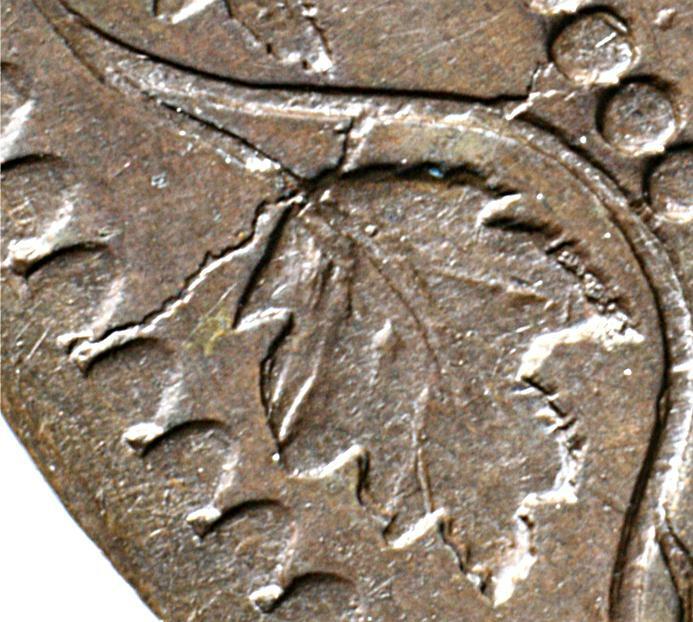 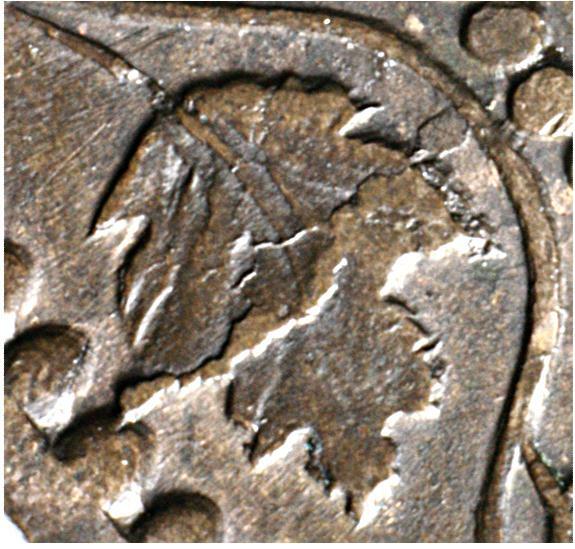 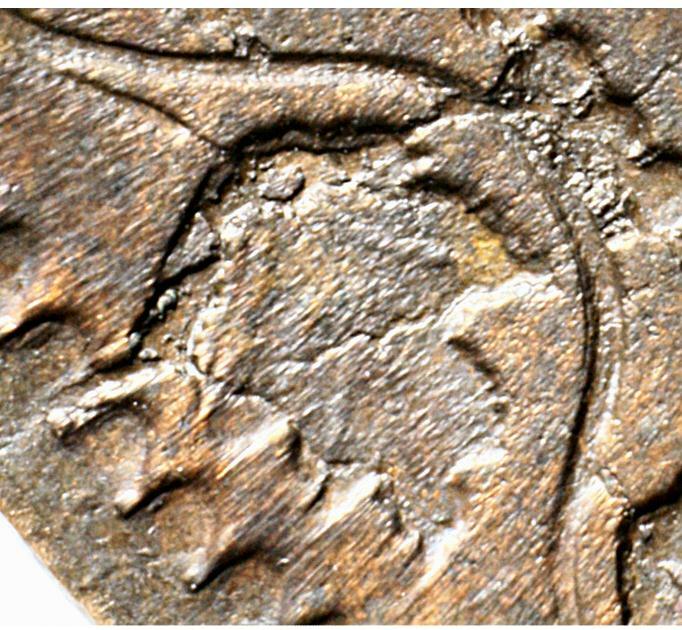 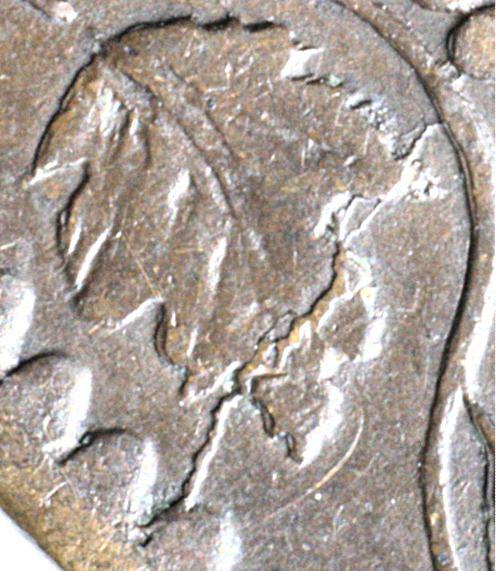 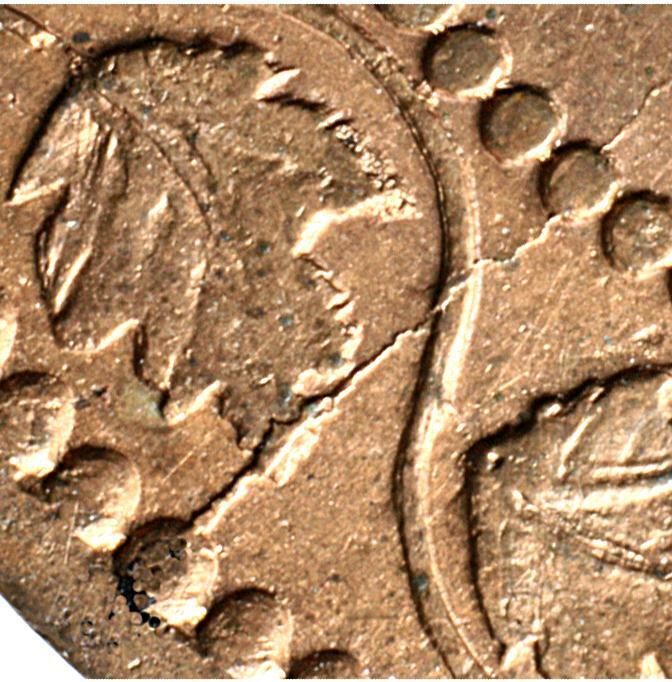 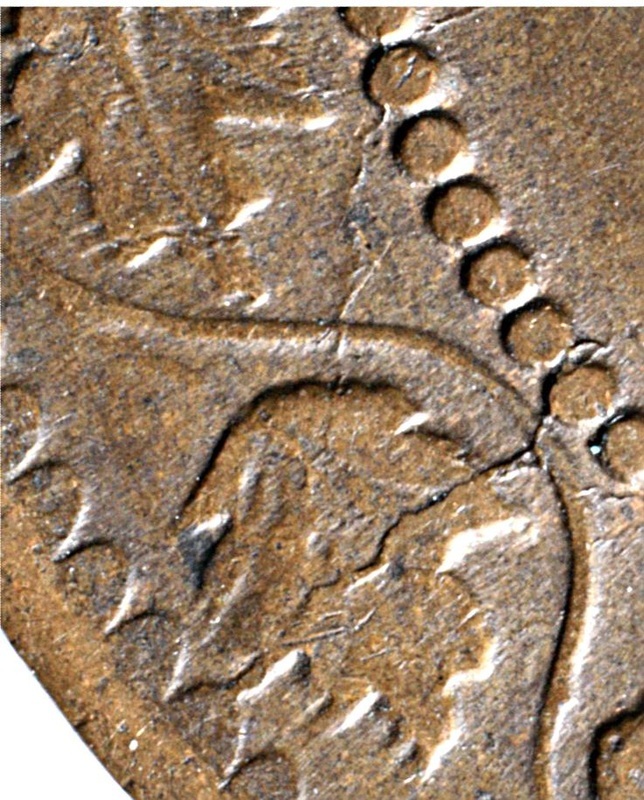 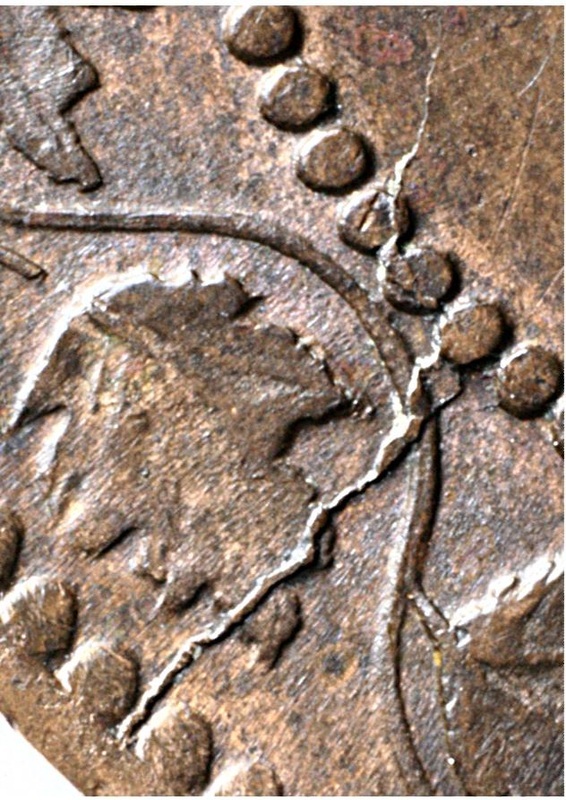 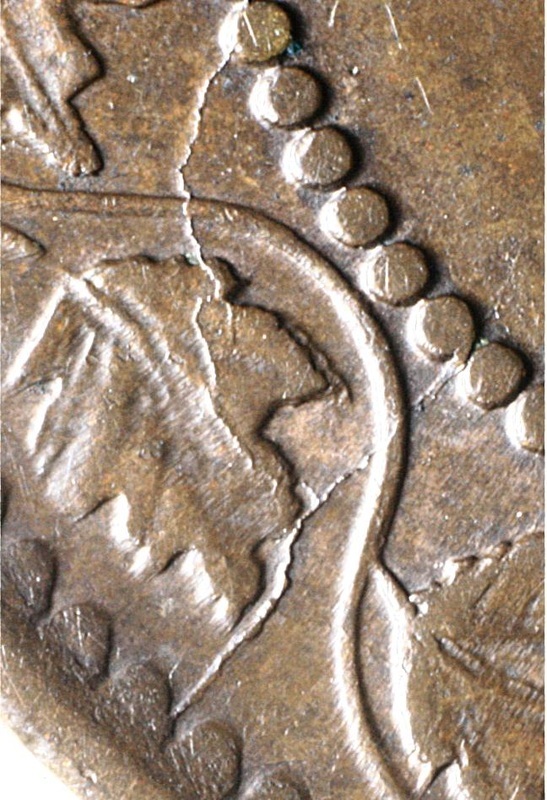 Remember that cracks can enlarge with die usage, so carefully compare the crack on your coin with the photos on the basis of shape and location of the crack relative to the rim denticles and where it strikes the leaf.